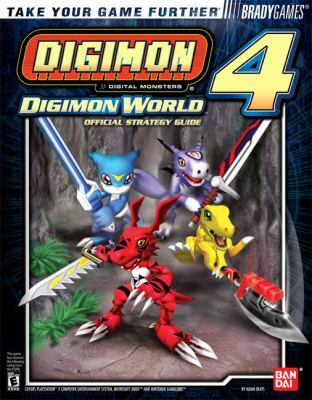 BradyGames Digimon World 4 Official Strategy Guideincludes the following: World Walkthrough — Precise information about each treacherous area! Full Side Quest Coverage! Comprehensive Monster List — Strengths and weaknesses for every foe! Weapon, Item, Spell, and Armor Lists— Stats for every item your Digimon can equip! Digivolve List! And Much, Much More! Platform: PlayStation 2, Xbox, & GameCube Genre: Action/Adventure This product is available for sale in North America only.